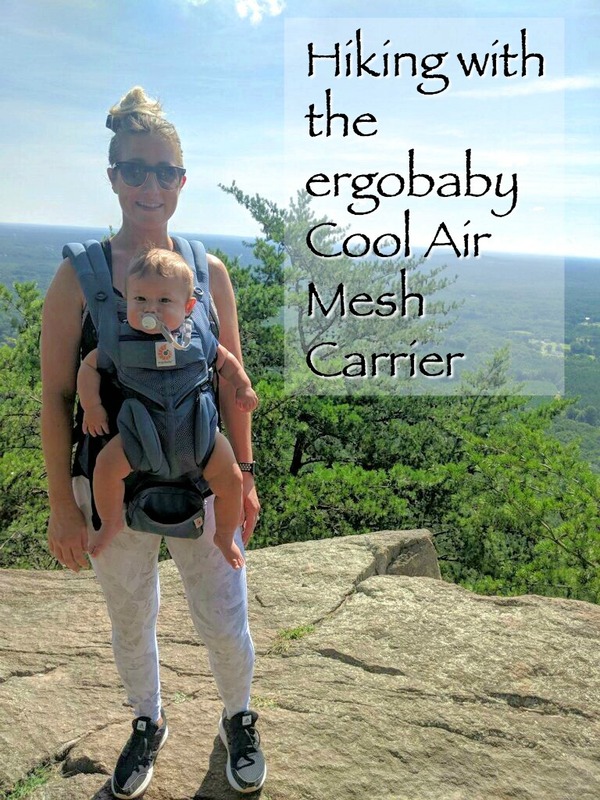 I had an Ergobaby 360 All Carry Positions Ergonomic Baby Carrier, and I absolutely loved it. It gave great support, and my son really enjoyed being carried in it. 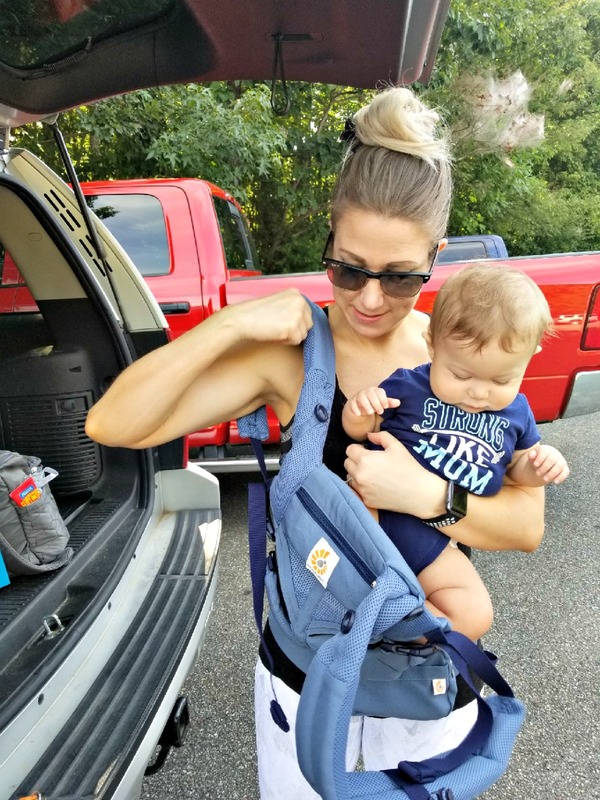 I was very excited to try the Omni 360 Cool Air Mesh All-In-One Baby Carrier, and in my opinion this carrier is even better. 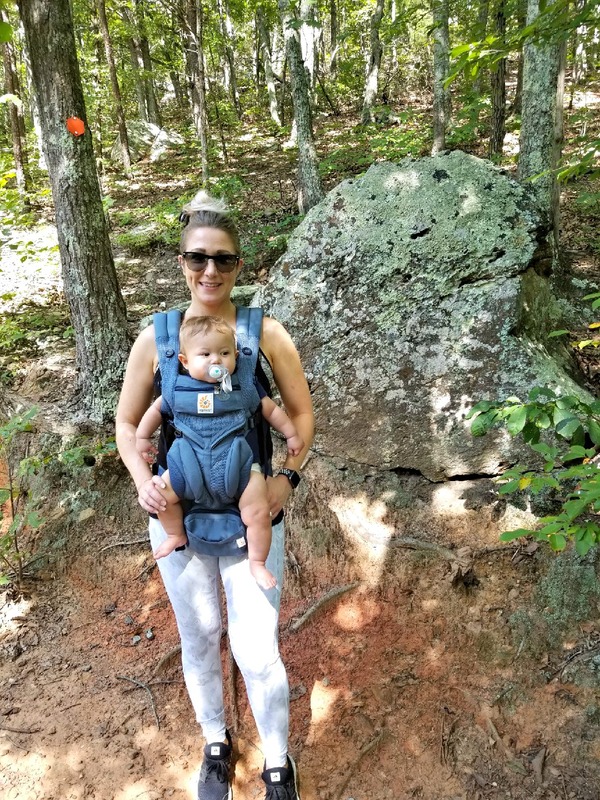 It offered tremendous support for my hips and back, as well as the same support for my son. 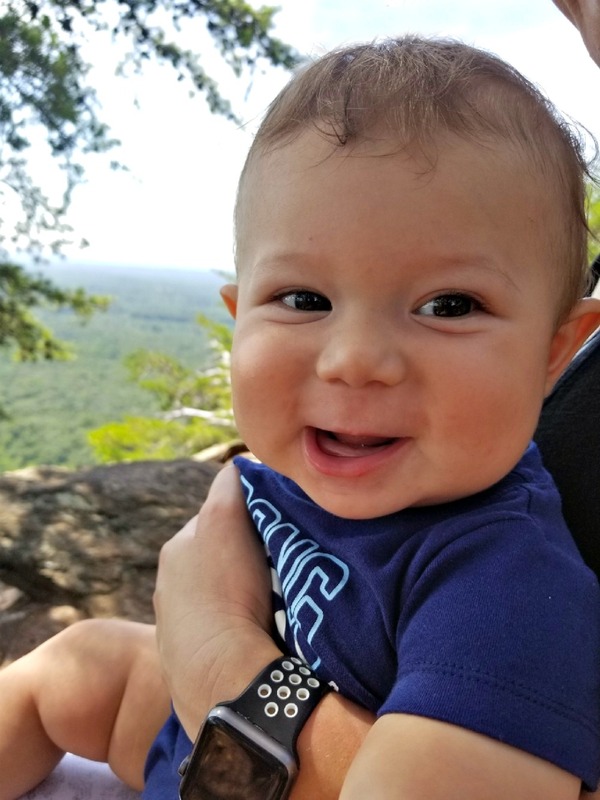 The Omni 360 Cool Air Mesh works for babies from 7 pounds to 30 pounds, so there is no need to worry about an infant insert. There are 4 positions, front carry inward facing, front carry outward facing, hip and back carry. The straps can be crisscrossed for added back support, and it is very easy to adjust. I love how it supports my son’s pelvis and hips. To say my son runs extremely hot is an understatement. If you’re holding him, you’re sweating. He sweats in pretty much everything. 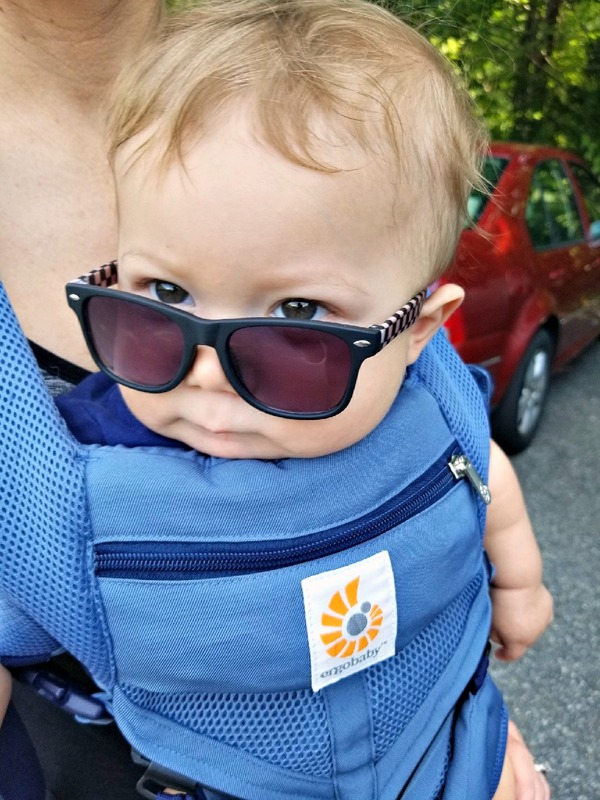 The Omni 360 Cool Air Mesh Carrier kept him a lot cooler than any other carrier I have tried. His clothes are usually soaked after being in a carrier, and although his clothes were wet, they weren’t as soaked as they usually are. 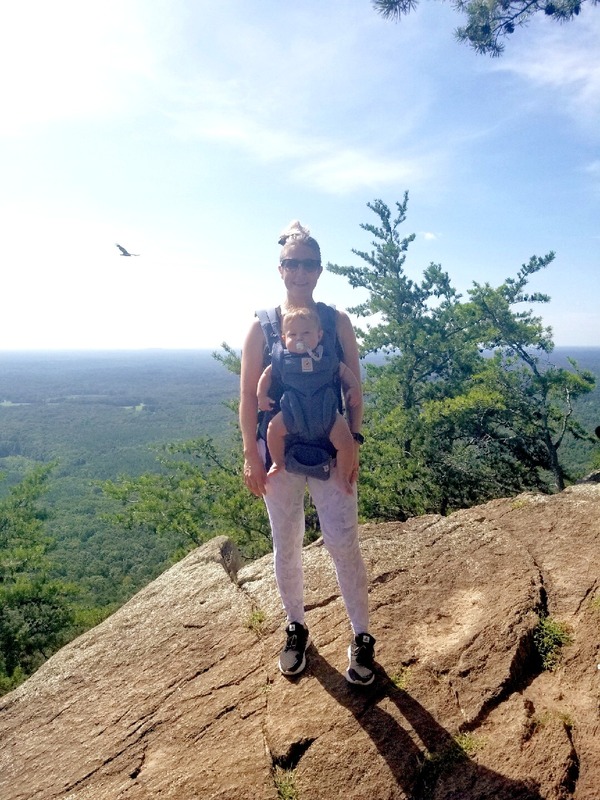 I went on a hike with the Omni 360 Cool Air Mesh, and I was very impressed with the support it gave me. My back felt great and my son was so happy and comfortable the entire time. It was wonderful to have my hands free, and it even has a zipper pouch attached which is great to put small items like your keys in. I noticed the difference the cool air mesh made on the hike. The mesh allowed air flow which helped keep us both dryer than usual. It also dried a lot faster when I took him out. The only thing I would note is the pouch in the front is secured by Velcro, so be careful not to overload it. I put my phone and keys inside and at one point it came unsecured because it was too heavy. Once I took something out, I didn’t have any issues. I love wearing him because it’s like I am still holding him while being able to use both of my hands. He is also at the perfect height to easily kiss the top of his heads. I know as a mom who constantly kisses my baby, this is very important. My son is 8 months and loves the front outward facing position. It was easy to get him in on my own as well, which is very important to me since most of the time I am on my own with him. I would recommend the Omni 360 Cool Air Mesh Carrier, it is comfortable and functional. It is great for active moms and works just as well for running errands or going on a walk. I adore this carrier! My niece is having her first, I’d love to get this for her! 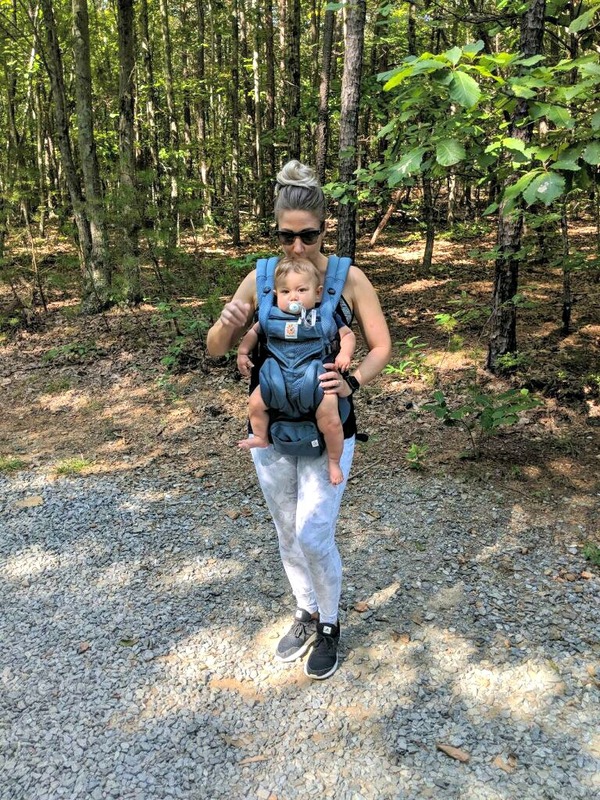 I had an Ergo carrier with my oldest many years ago! That was way before the mesh and 360 options were available. I would love to try one like this with my youngest… I’ve never carried a little one outward facing and I think he would love it so much more. I love the mesh and the carry options. It makes such a difference being hands free!